This free short story e-romance is an exclusive bonus from The Pebble Creek Amish Series by Vannetta Chapman. Fans of the series will enjoy this chance to briefly revisit Pebble Creek, and new readers will be introduced to an Amish community that is more deeply explored in the three full novels, A Promise for Miriam, A Home for Lydia, and A Wedding for Julia. As a bonus, this free eBook also includes Amish homestyle recipes for chicken and dumplings, green beans, and fresh bread. 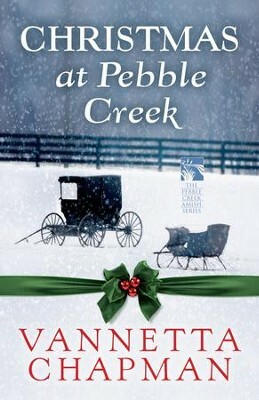 I'm the author/artist and I want to review Christmas at Pebble Creek (Free Short Story) - eBook.